excellent inspection very through and complete. From scheduling to completion professionally well done. Thank you Home Paramount. The young man who gave us service was very polite and quite thorough with his work. everyone was one time and efficient. I am pleased with the service. I am very pleased with the work, courtesy, and professionalism of the Home Paramount crew who worked on my home this September. I wish that the cleanup crew would of let me know that they thought they were finished. I had to spend some time cleaning up after them. Your technician arrived on time, treated the house, explained what he did and what we needed to do to prevent further infestation. now that we have a new tech that comes out on Thursday we are pretty happy with the services. Before this guy we getting told that he was spraying units but then the residents would say otherwise. Techs have been on time and listened to and addressed concerns. Only complaint is having to sign the new form with my finger. I am pleased with the service I have received. Our daughter recommended your company because they have had your services for years. Great technicians and friendly office staff. Always thorough and pleasant and friendly. Home Paramount is great! Everyone is friendly and reliable for all of your pest control needs! You promptly responded to my appointment requests and were very thorough. Job well done, the Chesapeake team was wonderful. I would recommend Paramount to anyone 💕. Allen is great and the staff is friendly. I'll let you know, for sure if I'm unhappy! Employee was very responsible & showed a great deal of professionlism. I have not seen any bugs or spiders since they took over my service. 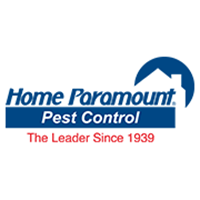 Our technician always arrives on time and the company responds and sends a provider to the home if we call between scheduled appointments for a pest problem. Daniel is my new technician. He was very thorough and professional. Good response time. Effective treatments. Friendly service. Service was great and Tatiana couldn’t be more accommodating. Everything was super professional, timely, and done with high proficiency. Thank you, John and Laura. Yes we are very pleased with your service! the Johnson family always welcome good honest company in our home.keep the good work up.